The Wall Street Semester turns 20. 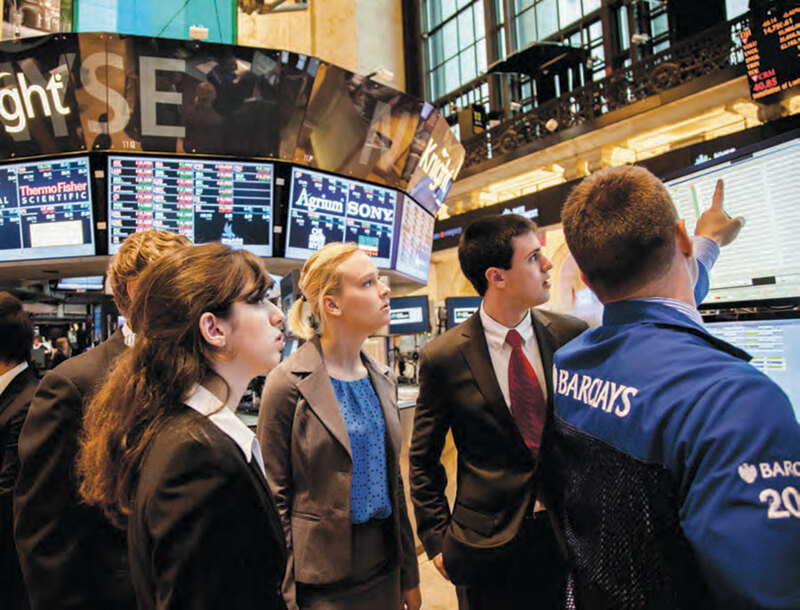 Hundreds of Drew students have taken advantage of the Wall Street Semester since its inception in 1997. To understand how fat the Wall Street Semester has progressed, consider the initial feedback to the suggestion that Drew leverage its proximity to New York City by dispatching business and economics majors to lower Manhattan for granular lessons from finance industry professionals. “The faculty thought it was a terrible idea,” former Board Chair Heath McLendon recalls of the proposal he advanced in 1997. Since its inauspicious beginning, the Wall Street Semester has dispatched hundreds of future finance wizards to Manhattan each spring for twice-weekly seminars and mentoring from professionals, many of them Drew alumni, representing every corner of the financial sector. During his Wall Street Semester, Peter Ferrari C’09 analyzed financial sectors that weren’t a good fit before identifying opportunities that matched his talents. Now a strategic financial adviser, Ferrari says a day rarely passes that his career isn’t shaped by “an awareness, phrase or word” gleaned from the Wall Street Semester. 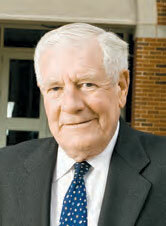 A retired president of Smith Barney Fund Management, Heath McLendon, the father of the Wall Street Semester, envisioned an off-campus approach to demonstrate the array of industry options available to business and economics majors following graduation. He was honored at the 20th anniversary reception in New York in May. Across the nonprofit spectrum, Drewids flourish. Here are 10 stellar examples. After his passing, people took to social media to lionize the always-smiling fixture in The Forest. The soccer captain talks about resettling from Venezuela, a New York City Semester and next season. The newest New York City Semester takes Drew students inside the world’s most notable nonprofit organizations. Rev. William J. Barber II T’03 delivered inspiring speeches that urged living a life of service. Drew’s Center on Religion, Culture & Conflict was founded 10 years ago. Six members of Carolyn Benjamin Knox C’67, P’96 family have attended Drew. Talk about commitment.